Though it may err on the side of hyperbole, Final Fantasy XIV would not be around today if not for Naoki Yoshida — not in its current state, at least. Seven years ago, Yoshida-san was appointed at the helm of Square Enix’s stuttering MMORPG, assuming the joint role of Producer and Game Director. On paper, the mandate was deceivingly simple: to course-correct FFXIV and ultimately deliver a product worthy of the Final Fantasy name. In bringing all of his MMO experience to bear, Yoshida and his team launched A Realm Reborn in 2013 and with it, the beginning of a new era for XIV and its impassioned community. Now, we’re on the verge of welcoming the launch of Final Fantasy XIV: Stormblood, the second major expansion pack for Square’s MMO that brings with it new jobs to master and dungeons to plunder — new areas to conquer and beasts to slay — and PSLS recently got the chance to speak with Naoki Yoshida as part of Square’s preview event. The interview, which covered everything from the Red Mage and Samurai to the Job-Level potions, was a joint session in which PSLS was joined by Hollie Bennett of PlayStation Access. Hollie snuck in a question about FFXIV‘s PS4 Pro support before our own, and with her permission, it’s duly credited down below. So without further ado, let’s get to it. PlayStation LifeStyle: The Red Mage and Samurai are shaping up to be two beautifully stylish character classes…but they’re both DPS. What has it been like introducing two damage-dealers simultaneously, and did the development team encounter any unforeseen issues? Naoki Yoshida: Adding any job will be quite hard, balancing-wise. We are thinking very carefully. When we announce new jobs, players are very excited and expecting [big things] from them. What we want to make sure is that each job is really cool and plays well, while also offering something brand new to the player. Both Samurai and the Red Mage have been long requested by players, too. The Samurai’s concept was designed quite quickly, but we had lots of discussions over Red Mage. This is because the players will already have a very strong image of the character from classic Final Fantasy games. So you have a hybrid caster/melee-type class, and by keeping that balance, we were able to introduce a job into Final Fantasy XIV that is exciting to play. PSLS: There’s also the addition of Tales of Adventure and the Job-Level Potions, which are designed to get lapsed players and newcomers up to speed. We know it’ll be limited to one per service account in the beginning, but are there any other precautions the dev team has taken in order to mitigate the onset of balancing issues? Yoshida: As you know, we’ve already announced these items to players. So rather than worry about the immediate reaction [at launch], 90 percent of our focus is on the creative process leading up to the release. To mitigate the confusion [ahead of time], we’ve been discussing these items with players for the past six months. Now we are at the stage where we are still talking to players, and we will continue to talk to the community so that everyone fully understands the job-boosting process. For those who are already aware or are familiar with other MMORPGS — for example, World of Warcraft — they may think, ‘okay, now Final Fantasy XIV has reached this stage in the implementation of these items.’ So they may have more understanding. However, for the Japanese audience, because it doesn’t have as much experience in the genre as western players, so we kind of anticipated the negative feedback from them. PlayStation Access: With Stormblood, we’re saying goodbye to PlayStation 3. But what will PS4 Pro owners be able to experience above the regular PlayStation 4? Yoshida: If you’re a PS4 Pro owner, you can actually see the two different graphics settings, which is unique to PS4 Pro. The first mode keeps the same resolution, but [achieves] a higher frame-rate. So, the second mode you can actually access 4K resolution by keeping the current PS4 performance within the same frame-rate. These are the two selectable options. However, we want to make this point absolutely clear: if you are using a PS4, your [experience] is totally comfortable. PSLS: As a follow-up question to the PS3 support coming to an end, was there one specific element within Stormblood that necessitated the changeover to PlayStation 4? Or do you believe the transition was inevitable? Yoshida: The PS3 functionality hasn’t influenced the development side of things. However, the reason why we decided to close the support at this time is because now we see the market share, and many people own PlayStation 4s. Also, the biggest difficulty on PS3 was not so much the memory size, but the hard disk’s read time is very slow. For example, if you’re on PC, you can change the hard disk yourself. However, for console players — especially those on PS3 — you wouldn’t change your hard disk. Also, the PS3 console is quite old…more than ten years old now. The read time is so slow that loading one character in FFXIV will take up to three seconds, and because the ground mounts will gain more speed from Stormblood, this will add more more difficulty for PS3 players. The issue is not the memory size, but the console’s hard disk. However, we appreciated the PS3 console as [development on] Final Fantasy XIV has been a really tough time, and without PS3, we wouldn’t have been able to expand the playerbase through ARR. PSLS: Finally, do you have any final words on Stormblood ahead of its launch on June 20? Yoshida: This is my personal viewpoint, but with the release of Stormblood, Final Fantasy XIV is now the latest entry into the series because it has overtaken Final Fantasy XV [laughing]. 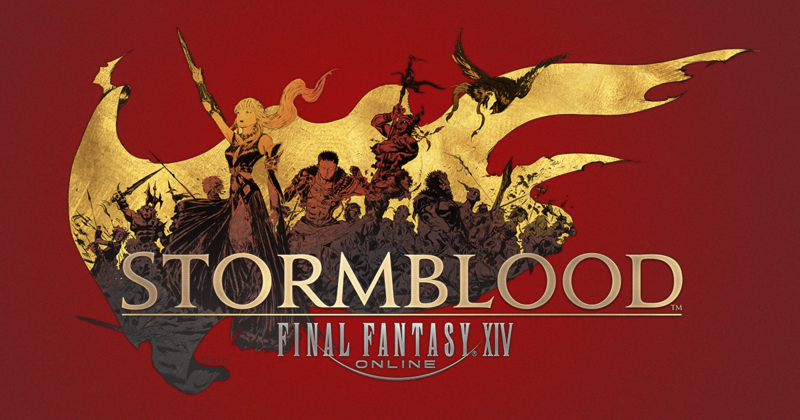 So finally, you can get your hands on the latest Final Fantasy title when an early access build of Final Fantasy XIV: Stormblood releases on June 16. Stormblood is on course for a release across PS4 and PC on June 20, and it’ll herald the end of Final Fantasy XIV on PlayStation 3. For more coverage of Square’s impending expansion, look no further than our hands-on preview. A special thanks to Naoki Yoshida for taking the time to speak with PSLS. Final Fantasy XIV: Stormblood was previewed at a press event in Hamburg, Germany, where Square Enix provided travel and accommodation. All content previewed during the event is still under development and therefore subject to change.